Home > Books > Dance With Me! 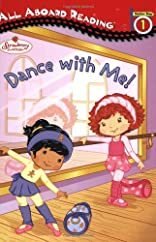 Strawberry and Ginger both want the ballet solo in the big dance recital-and they'll have to audition to decide who gets it. But when the girls decide to share the solo, both of them shine in a duet that wows all of Strawberryland!